In which I introduce the somewhat-famous Joseph Backler [Sr], who for a time was a well-known painter on glass, but who fell on hard times and died a rather inconspicuous death. 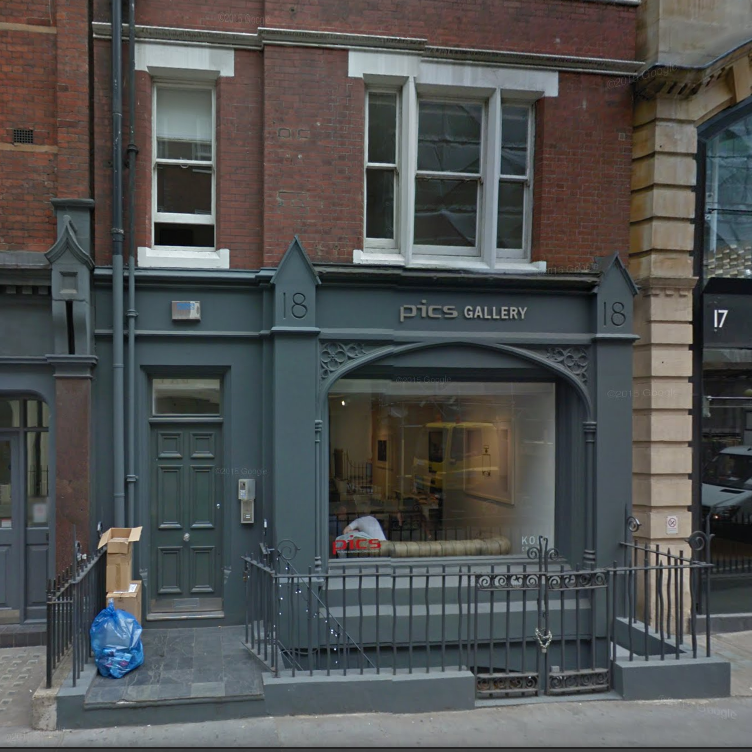 In this blog I focus his family, his early career, and on the premises he used at the height of his reputation, at 18 Newman Street, near Oxford Street, London. Searching old newspapers, as one does, on the name ‘Backler’, it is hard to avoid the name of Joseph Backler, active self-promoter and sometime well-known painter on glass, whose premises at 18 Newman Street, just off Oxford Street, featured in the many adverts for his work which he placed in The Times in the second and third decades of the 19th century. Joseph Backler was christened at St Ann Blackfriars on 24 January 1788, son of Sotherton and Hannah (OSBORNE) BACKLER. Jane Cowie BACKLER, born 16 April 1811; married to John BROWN in Kilmarnock, Scotland in 1833, and died in Australia in 1855 (shown in the Victoria death index). They had six children. Joseph BACKLER, c. 1813 – 1895. Well known Australian convict artist, whose story will feature in a future blog. Mary Cowie BACKLER, 1814-1820. The Times on 20 March 1820 reported: Death on 16th, Mary Cowie, 2nd daughter of Mr Joseph Backler of Newman Street, aged 5 years and 9 months. Hannah BACKLER, 1818 – ?1922 in Caulfield, Victoria Australia. Married on 28 October 1854 at St Peter’s Hill, Melbourne, to Henry George REGAN. They had three children, Daniel Joseph REGAN (1857-1942); William John REGAN (1860 – ); Sarah Jane Cowie REGAN (1855-1932, married to Herbert Henry COULSON, 1888; son Harry William Oliver COULSON, 1882-1944, married Florence Mabel MARSHALL, 1909). Sarah Cowie Mitchell BACKLER, 1823-1824, who is buried at Bunhill Fields Burial Ground. Early artistic career: The Glass Painters Journal (Vol VIII No. 1, 1959) suggests that Backler studied under Chas. [sic] MUSS (1779-1824), who was a well-known enamalist, and later a painter on glass. Glass painting was distinguished from stained glass made of separately coloured leaded panes, and had something of a revival in England in the later 18th and early 19th centuries. The London Gazette of 20 October 1812, reported that a partnership was dissolved on 22 September between Joseph Backler, of Newman-Street Oxford-Street, Painter and Stainer on Glass, and William Silk, of Newman-Street aforesaid, Painter and Stainer on Glass. I cannot find out any further information about this partnership, or about William Silk. 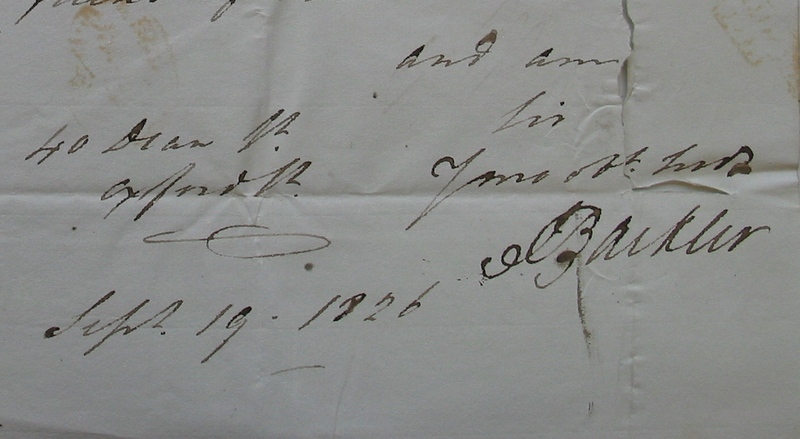 A letter of 19 September 1826 (Backler’s signature above) describes his difficulties in recovering a copy of the lease for the ‘back premises’ from a Mr Ives, having mislaid his own copy. This letter gives an address for Backler of 40 Dean Street, this taking place perhaps after his wife and daughters had left him to return to her native Scotland, as he descended into penurious circumstances. An Old Bailey trial on 18 September 1816 refers to the Backlers at Newman Street, and to Joseph’s links with the Duke of Norfolk, arising from his execution of the Great Norfolk Window for the Baron’s Hall at Arundel Castle – see the next blog: WILLIAM ASHLIN was indicted for obtaining money on false pretences . REBECCA MOORE. On the day in the indictment the prisoner came to the shop. I had known that he was the servant of Mr. Backler, the celebrated glass stainer, of Newman-street. He asked me if Mrs. Taylor was within. I told him she was, and he asked me to lend him eleven shillings for Mr. Backler, to pay the carriage of goods, lying at Wood-street, which had come from the Duke of Norfolk’s. I lent him eleven shillings upon that. Mrs. Backler was a customer of ours, and we knew her. He came again on Thursday the 25th of July, bringing with him a paper, apparently a bill for the carriage of goods. The amount was one pound nine shillings and a penny, and underneath was written in pencil, “received one pound,” and he asked me to lend him nine shillings and a penny, to pay for the carriage of goods lying at Wood-street, and I did so; fearing that it might not have been right, I wrote to Mrs. Backler, and she sent a verbal message. On Monday the 29th, the prisoner came to the house again, and asked for a one pound note for Mr. Backler, who, he said, was waiting in Gracechurch-street for it. I did not let him have it, but I gave an alarm, and he was laid hold of immediately. JOSEPH BACKLER. The prisoner was formerly in my employment. I had no goods come to London from the Duke of Norfolk. I expected no such goods. I never authorised the prisoner to get this money. GUILTY . Confined six months , and fined 1s . London jury, before Mr. Common Serjeant. And with that bit of colour, we will leave Joseph for the moment, looking in the next blog at his heyday in producing painted glass windows.